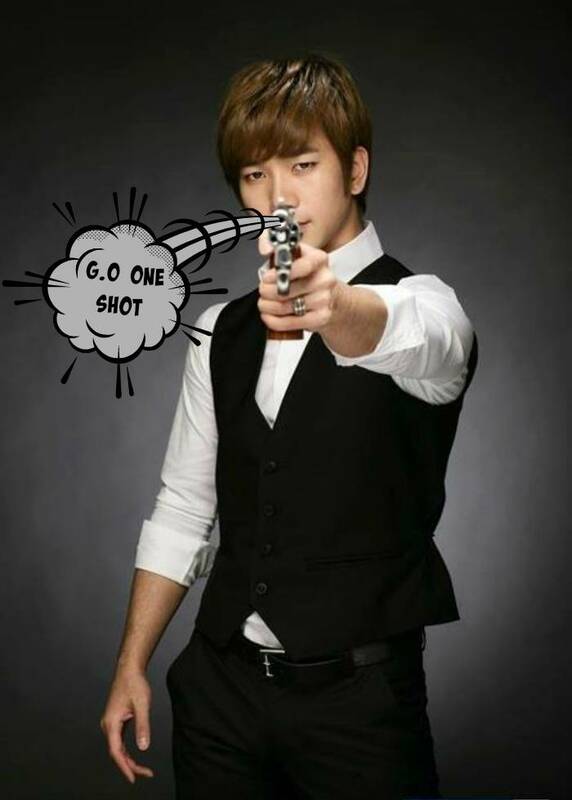 I particularly love today’s offering for the G.O One Shot. For the past ten days I have sprinkled the countdown with moments revisiting G.O’s time on the musical stage as well as celebrating his arrival to the silver screen with his film debut in 아바는 딸 [Dad is Daughter]. I cannot deny that my favorite aspect of G.O’s artistry is his music; however, I am enamored of his ability to take the joy and pain he has experienced, the ups and downs of life, the struggles and the triumphs, and let them all simmer deep in the well of his artistic soul ultimately manifesting themselves through him as an actor. I will continue to support G.O in whatever he pursues after completing his military service but secretly harbor a strong yearning and desire to see him back on the musical stage. The three characters he brought to life during his time on the musical stage were perhaps a bit similar yet still so very different. 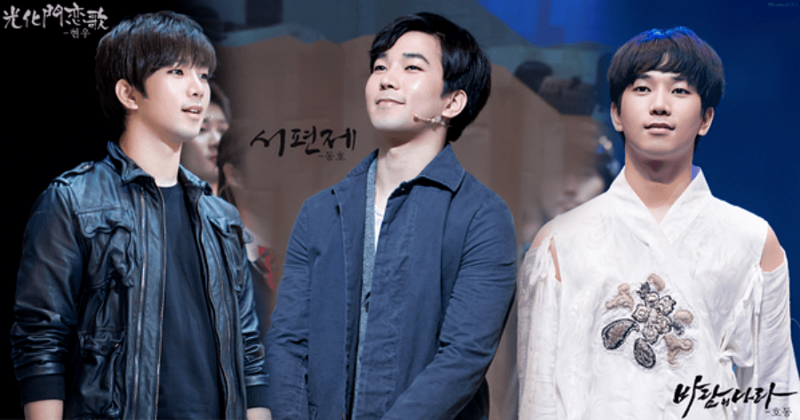 But as is evident from masternim MemenGO’s wonderful photographic mash up of the three, G.O enveloped each individually. Same man, three different characters. True Gwanghwamun Sonata came a couple years prior to Seopyeonje and The Kingdom of the Winds, and yes while the costumes and stylings are unique to each character, G.O still looks so very different in each. As he embraced and became the characters he portrayed, he grew stronger as an actor. Be it drama, film, and especially musical theater, I love that G.O has explored the actor within and I hope that exploration continues. Categories: From The Korean Musical Stage, G.O Military Discharge, MBLAQ Musings, The G.O Files | Tags: Actor G.O, Dad is Daughter, 바람의나라, G.O, G.O Film Debut, G.O images, G.O on the Musical Stage, G.O One Shot, Gwanghwamun Sonata, Gwanghwamun Sonata Musical, 서편제, 아빠는 딸, 정병희, 지오, Jung Byung Hee, Jung Byung Hee images, Korean entertainment, Korean Musical Theater, MBLAQ G.O, MBLAQ G.O Film Debut, MBLAQ G.O images, MBLAQ G.O on the Musical Stage, MBLAQ G.O One Shot, Musical Actor G.O, Seopyeonje, Seopyeonje The Musical, The Kingdom of the Winds, The Kingdom of the Winds Musical, The Musical Seopyeonje | Permalink.